For more than 40 years PKI is engaged in AV observation out- and indoor. Consequently our product range offers numerous devices for this application. Please see our below listed devices: PKI 2215 – PKI 5715. Often the rooms which shall be monitored have only access from outside, so that due to security reasons this is the only possible surveillance method. PKI 3000 therefore offers a very special version as now upper floors can be monitored. On activation the transmitter is shot by a launcher, that is equipped with a CO2-cartridge, up to a distance of 25 m at full speed. 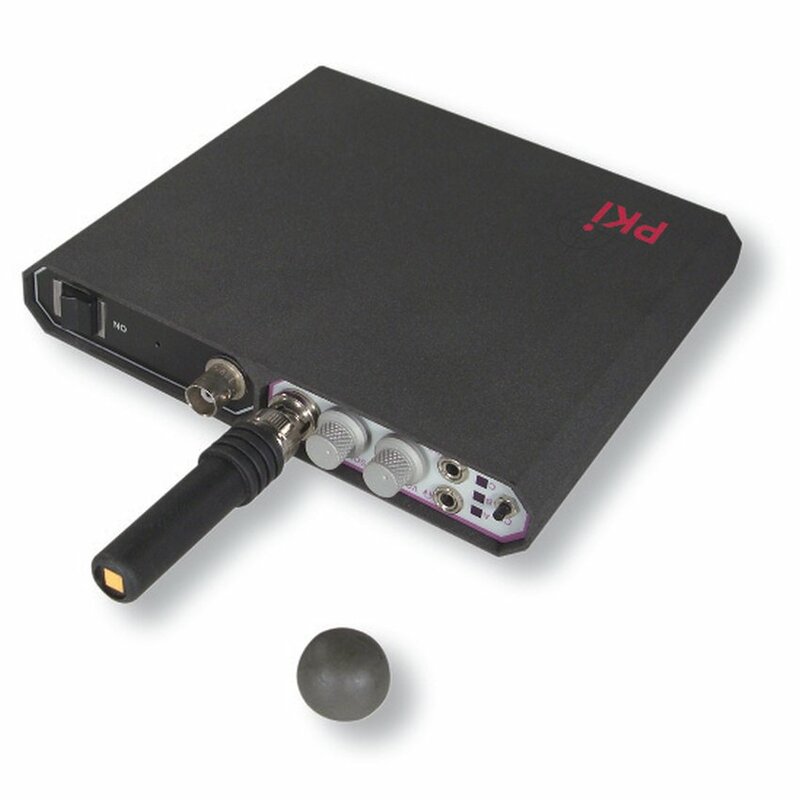 If the transmitter reaches a window or masonry it will stick there and wirelessly transmit the acoustic waves captured from behind the wall up to 50 m. Reception is possible by adequate wide band receivers.